Since late 2006, PSD have been supplying McConnell Dowell Constructors of New Zealand with equipment to support two pipejacking projects. After a visit to PSD in the UK from McConnell Dowell’s Matt Dowler a Bentonite Mixing System, Milchem Primary Shaker, SS310DP desander with S3-01-H centrifuge and flocculation system were shipped to New Zealand in December 2006 to work on a 1400m long 2105mm diameter drive for the Tahuna Sea Outfall near Dunedin on New Zealand’s South Island. Ground conditions varied from Estuarine Sediments, consisting of clayey silt with some sand and shells, to formations from the Dunedin Volcanic Group, consisting of basalt (recovered as sand and gravel sized particles) and weathered basalt of silt, sand and gravel sizes. Following completion of the Tahuna Sea Outfall, McConnell Dowell transferred the equipment to another Sea Outfall Project near Christchurch still on the South Island. From 2010 until 2012 PSD supplied a desander and centrifuge to the Christchurch in Sewer Upgrade consisting of 7 No. 1700mm diameter drives with a combined length of 4km. In February 2011 the equipment was caught up in the major earthquake, but went on to complete the work in February 2012. McConnell Dowell’s Australian sister company, in Joint Venture with ABI also rented equipment from PSD for the Southern Regional Water Pipeline Alliance Project near Brisbane, Queensland. 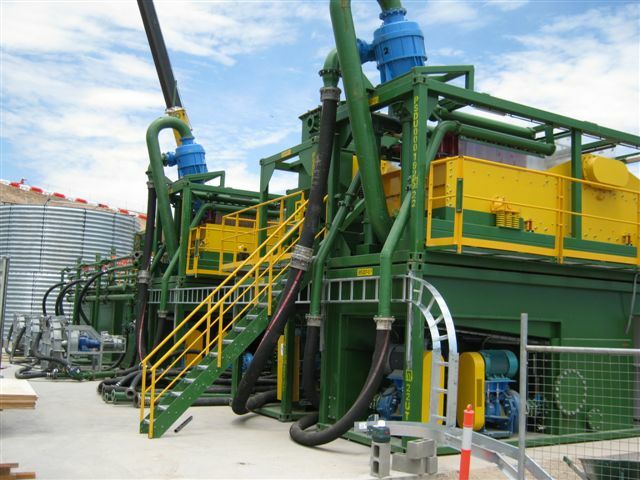 In early 2006, PSD shipped a brand new SUPERCLEAN®350DP mud cleaner with S3-01-G centrifuge and flocculation system to Australia to support the construction of an 1810mm bore formed with a Herrenknecht AVN1500 machines. Initially the client was awarded around 14 drives of about 1600m combined length, but a further 850m of drives were added and PSD was called upon to supply a second plant to support another AVN1500. In July 2007 an SM250DP desander and SU10DP desilter were dispatched from the UK, followed soon after by a Flocculation System. A further S3-01-G centrifuge was dispatched from Singapore to work with the second Herrenknecht machine. PSD provided operators to assist both clients at key stages. PSD are currently supplying Thiess with a slurry treatment plant with full time operator for the Wheatstone LNG project near Onslow, Western Australia.